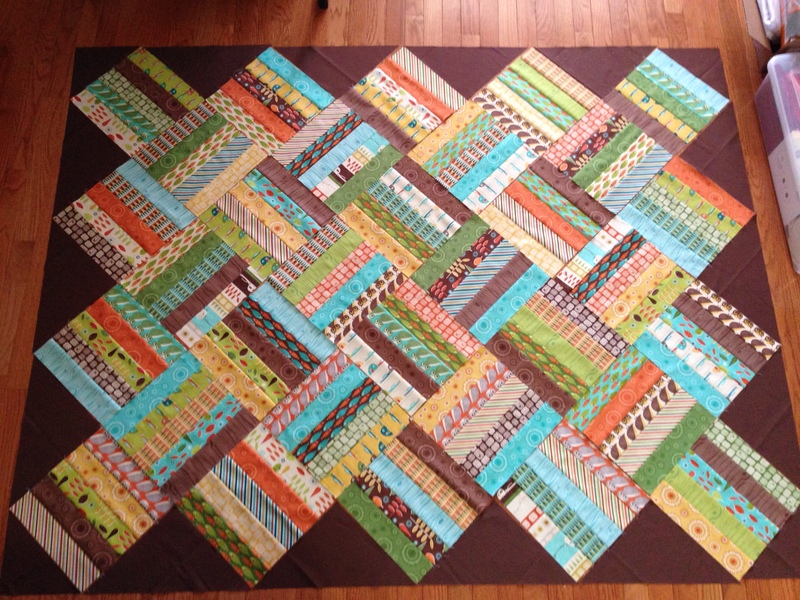 Just FYI I’m hopping back in time (to 2013-14) to tell you about the first larger quilt I made (larger than a lap size). I decided to undertake making a quilt for each of my kiddos. At the time I was expecting #4 and knew he would be a boy. God-willing the three boys will share a room when we buy or build a bigger house — for now all 4 kids share a room, but that is a post for another day. 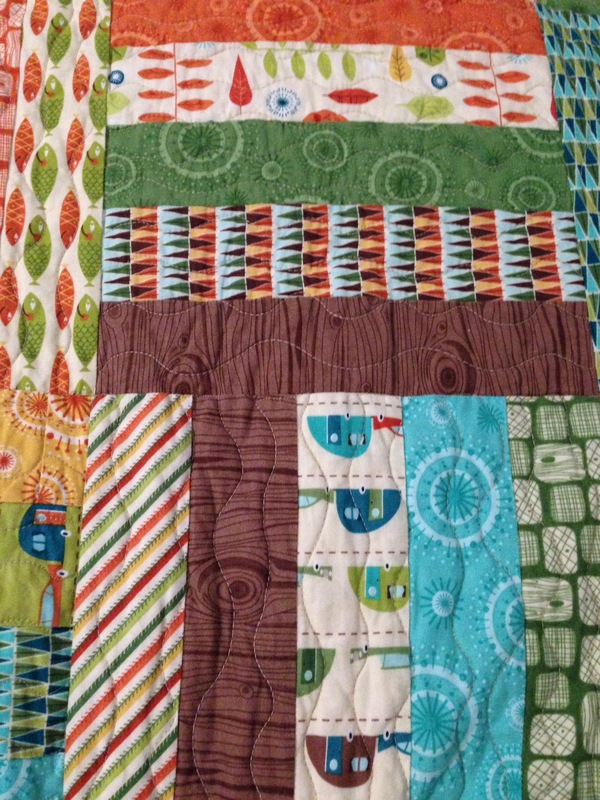 So three boys and a girl who need quilts…. Adorable right? Fun, bright and very boyish! 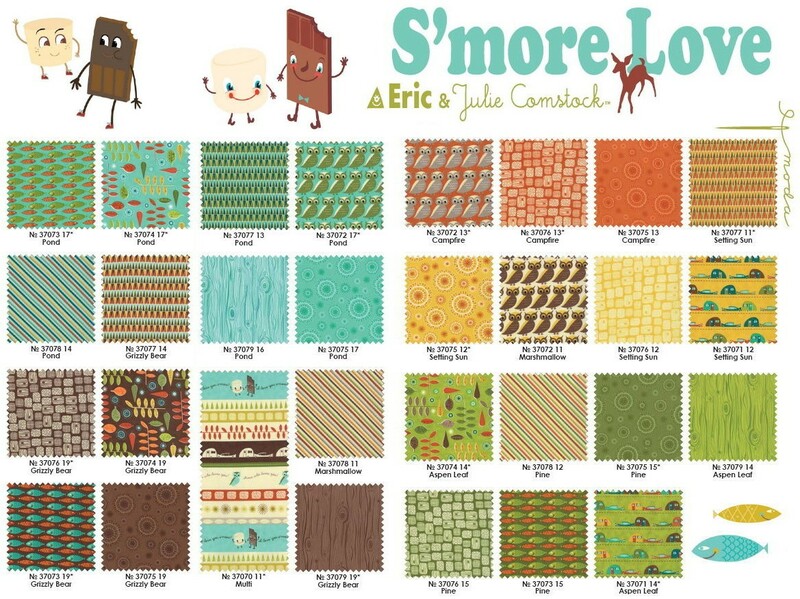 At the time my older boys were joining Trail Life USA so the camping theme in “S’More Love” was perfect. I found the idea for this pattern from Pinterest on a quilt called “Field of Flowers”. It basically uses 5 strips in a 10″ block in an alternating hatch pattern. Each quilt for each boy would have different fish background and a different front border color. #1 had the brown orange and teal fish so I went with teal blue for the front border. 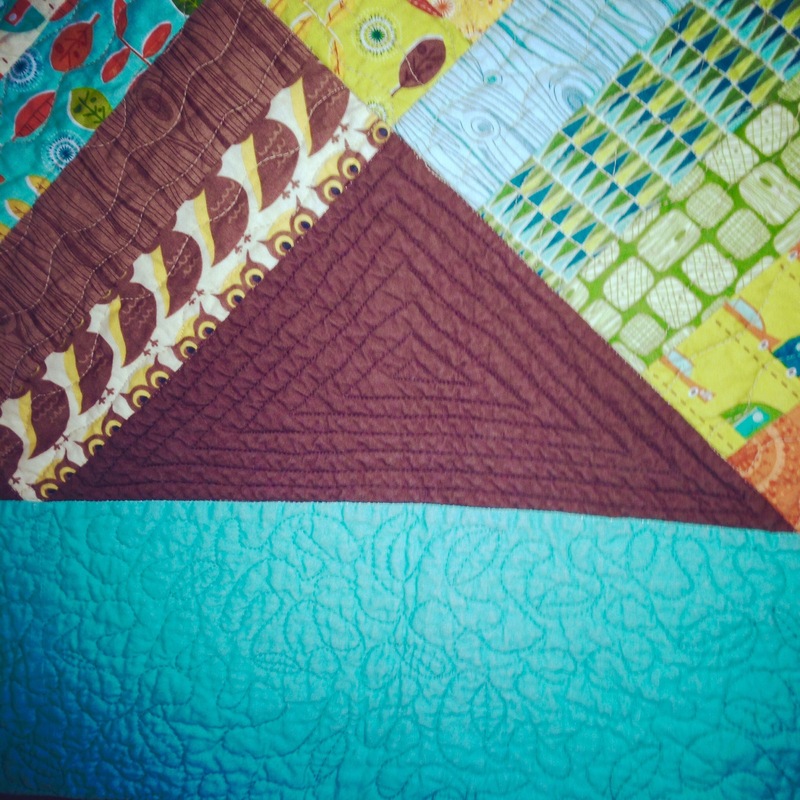 For the quilting I decided on a free motion wave pattern that would follow the direction of the strips in each block. 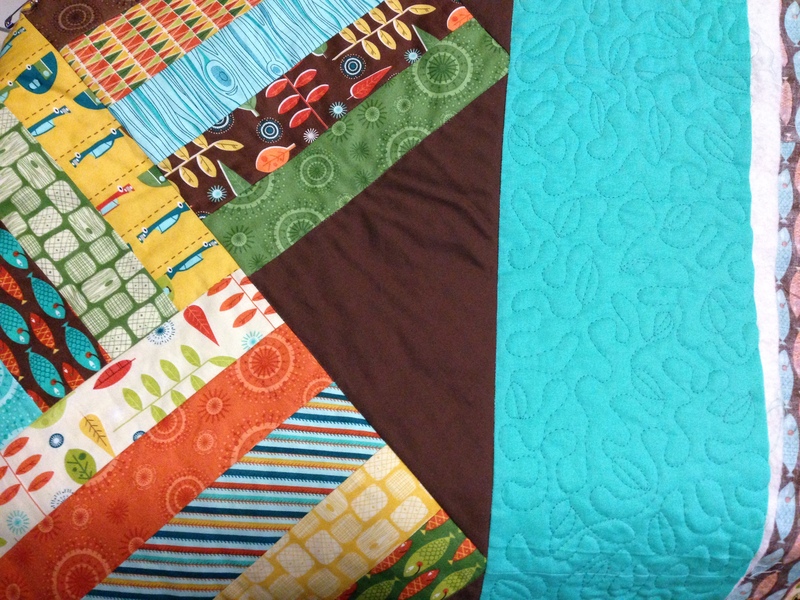 In the border I tried my hand at free motion quilting a meandering pattern with leaves thrown in. It looks complicated, but it was actually easier than the triangles. Go figure. The brown offsetting triangles gave me some fits at first. Let me tell you, free motion quilting a triangle is NOT easy. Its not too shabby for my first go. As a whole the quilt turned out great. Lemur loved having something new and being the first to get a quilt made by mommy. I do have a label for it, but I haven’t set aside time to pick out part of the binding and put it in.